Cultivators, manufacturers and dispensaries face a variety of ever-changing regulations that vary between states. The cannabis industry is notoriously inconsistent with regulations and as new legislation changes the rules so often, it can be difficult for businesses to keep up and stay compliant. 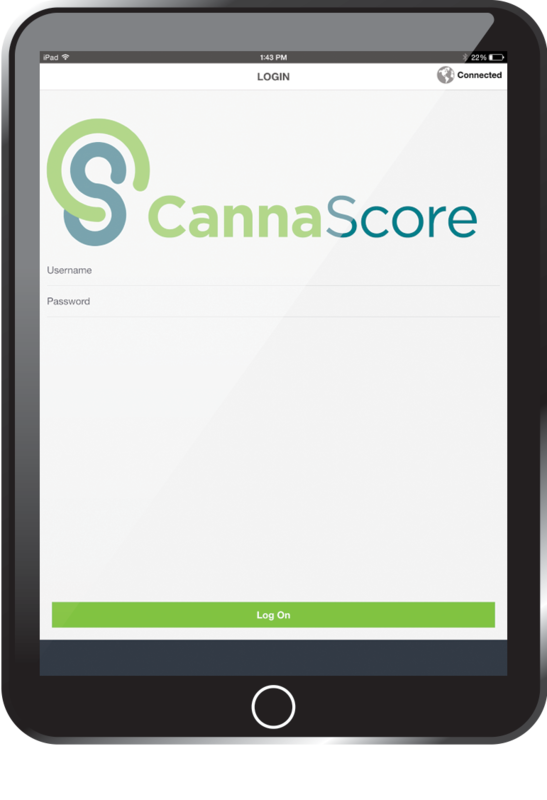 CannaScore provides a cannabis compliance auditing system that takes an inspector through questions around the operation, flagging areas that are out of compliance with state regulations. CannaScore works in Washington, Oregon and Colorado, and has plans to provide its services in Nevada and Maryland soon. After co-founding DANK, a dispensary located in Colorado, Kush Bottles Colorado, a marijuana child-safe packaging company, and Denver Consulting Group, license-to-sale consulting company for the marijuana industry, Greg Gamet co-founded CannaScore after finding third party compliance audits to be lengthy, time-consuming and inefficient. The company developed the program and a mobile app within one year and beta-tested it for another six months. “We are trying to stay in code with city and state regulations, along with the Colorado Marijuana Enforcement Division [MED], who finally has enough money to go out and enforce those laws. CannaScore identifies areas of concern and allows business owners to take corrective actions before problems ensue,” says Gamet. According to Gamet, some of the biggest areas of concern for business owners involve making sure employees and day-to-day operations follow the extensive rules set forth by state and local governments. “The MED wants to make sure there is no hidden ownership [or] diversion of the product, and that dispensaries are following the rules, especially when it concerns public safety,” he says. “CannaScore can help businesses get a great overview on how they are operating within these rules that are enforced not only by the MED, but local police and fire departments, local health departments, and the Colorado Department of Agriculture.” The program will be available to other qualified consulting services to use through licensing agreements. The overall score, much like a FICO or Dun and Bradstreet score, rate an individual’s or business’ credit score, which helps business owners, banks, landlords and other stakeholders know what level of compliancy a cannabis business is operating. It also keeps a compliancy record on hand if a business is required to prove to a governing body its willingness to follow the rules. 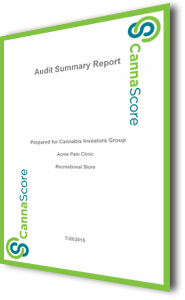 In performing dispensary, grow, infused products, and MIP kitchen audits, CannaScore can give the consulting company that is performing the audit the ability to assist in the correction of any and all violations. “Once a violation has been found, the consulting company can work with the customer to get it corrected immediately, which will increase revenues,” says Gamet. As the industry grows and regulators hammer out details in legislation, compliance will remain an important part of any cannabis business. Staying in code with local laws and state regulations can make or break a business.